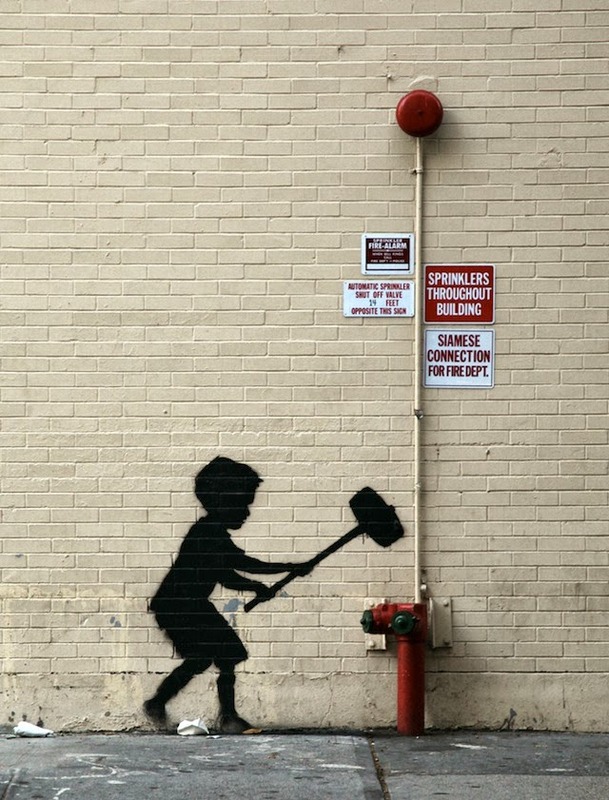 The Resident Tourist: Banksy New York . . .
Have you heard of Banksy? He's a British graffitist that has mastered the concept of street art, to the tune that his pieces have become worth millions. The craziest part is that he gives them to the world for free. 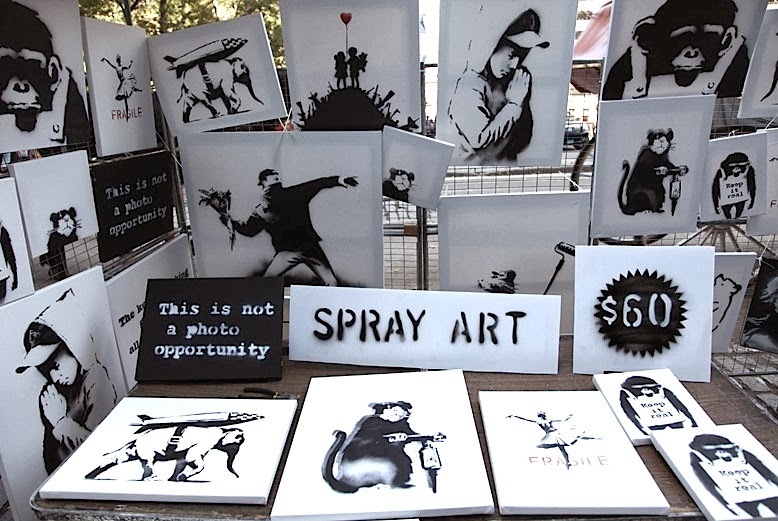 For the entire month of October, Banksy has been gracing New York City streets with a new piece of art each day, some on the walls, some on the roads, one even included a vendor stand in Central Park where he hired a man to sell originals for $60 (!) a piece. It is just too cool. 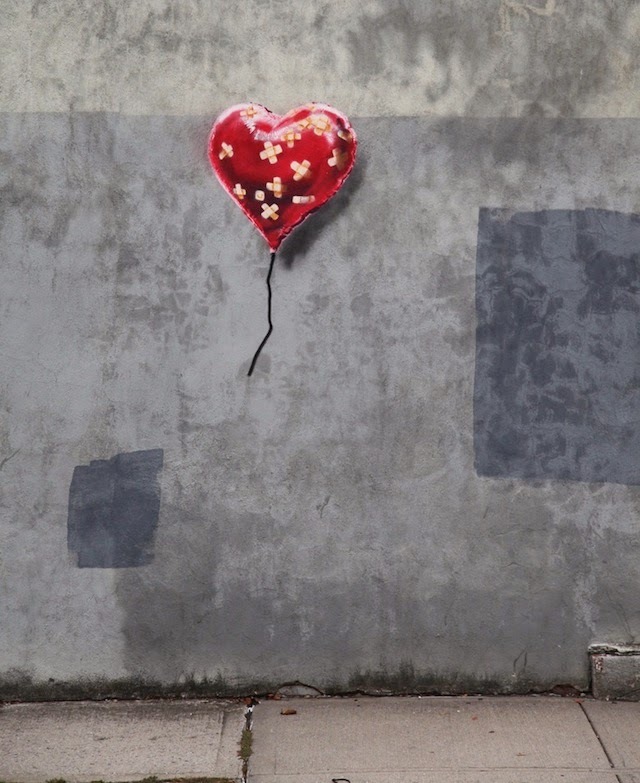 Creatively elusive, nobody really knows when/where he creates the pieces, but if you visit the Banksy site titled Better Out Than In you can see each day's artwork and what part of the city it's in. Then it's up to you to visit the neighborhood and find it. The sad part is that many times when you finally find the piece, it's already been defaced. Or in the case of yesterday's work, stolen. Luckily, many New Yorkers have started to take a stand, protecting the precious artwork from vandalism. Security guards have been hired, plexiglass walls have been put up. 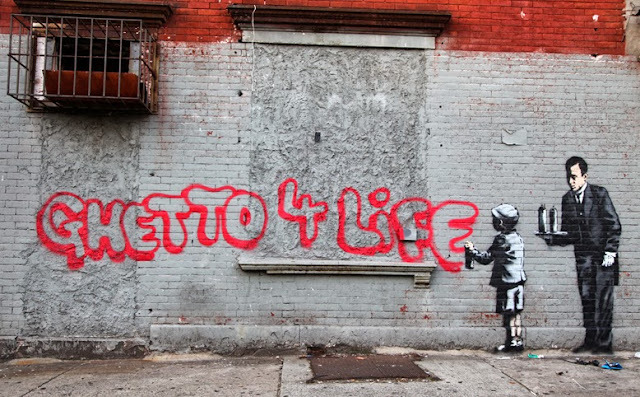 If you're in New York, you may want to go look for some of Banksy's pieces. This is a really cool moment in the city's art scene. It's not often that creativity like this comes for free and with so much mystery involved. Good luck finding Banksy, have fun! I am a HUGE Banksy fan. I love his movie too. Is there any way to purchase any of the art without being in NY? We would pay more than the vendor is asking. Funny, I've been thinking about visiting NY lately. Must have been Banksy calling.